Hello all! Guess what…my kids are out of SCHOOL! It’s the most wonderful time of the year. For eight weeks, we can hang out together and have fun as nature intended…in a pool. I am so blessed to work from home and be able to spend all this time with them. My husband works so hard at his job to make this possible and I am so grateful. But enough about my super hot, hard working husband…here’s what was cooking in my kitchen last week. 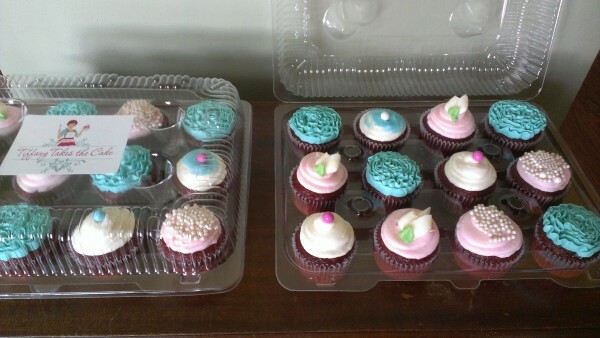 Here are some cupcakes for a tea party themed baby shower. My favorite ones are the turquoise ruffled ones. This one was my favorite last week. I don’t mean to toot my own horn, but TOOT TOOT! Isn’t this cute?! 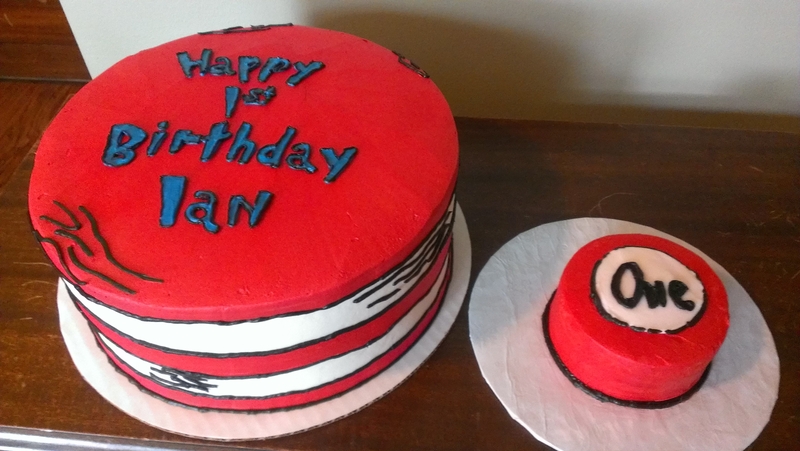 I LOVE doing Dr. Suess cakes. There’s a tutorial for how to stripe a cake here. 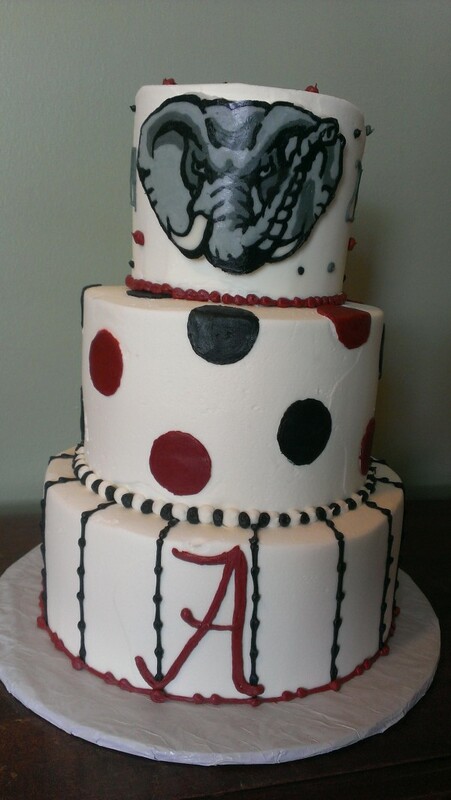 Here’s a grad cake for a gal on her way to the University of Alabama. Roll tide! Have a great week, cake lovers! This entry was posted in 1st Birthday, Children's Party Cakes- General, Children's Party Cakes-Characters.